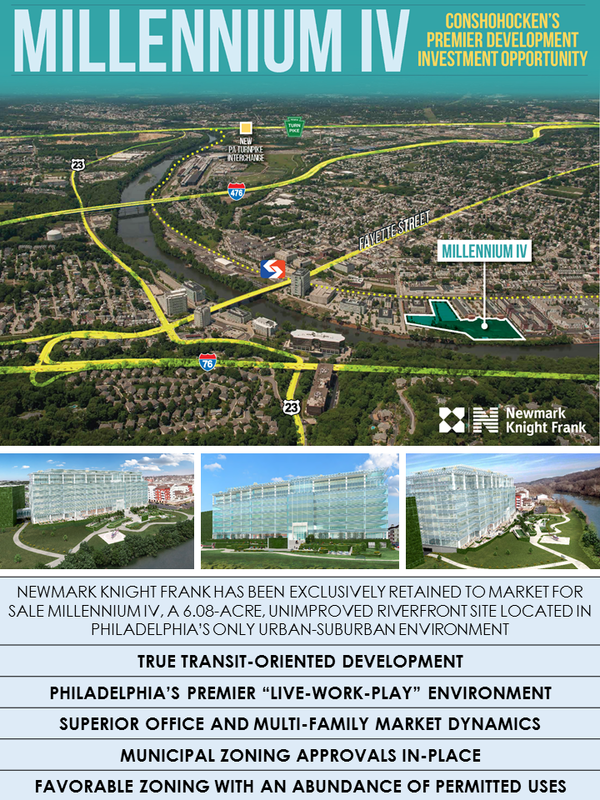 The approved, but unbuilt, Millennium IV development on Conshohocken’s riverfront is being marketed for sale by Newmark Knight Frank. 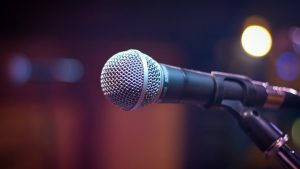 If you are wondering where this is, it mainly consists of the field just upriver from the Londonbury apartments, and directly in front of Millennium II and III. If you know where the helipad is located, then this is that field. When going through the approval process, this site was touted as the potential home for AmerisourceBergen’s corporate headquarters. AmerisourceBergen eventually selected another site, SORA West, for the headquarters. 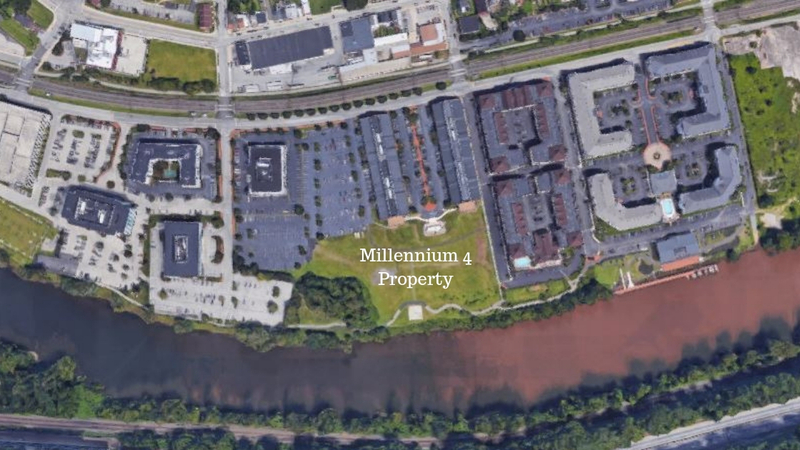 Millennium IV is owned by O’Neill Properties.